I am feeling confused and stupid, not normal states of mind for me. The world is making elaborate preparations to protect itself against a disease that has killed 3,500 people and nobody is batting an eyelid? In a world where many more routinely die from a lack of clean drinking water, we are prepared to roll out a global vaccination drive for a disease that mostly presents with mild symptoms and nobody thinks it’s odd? I wonder why nobody is questioning the numbers being bandied about and why we are all accepting the lies that are being dished out in the name of saving humanity from H1N1. Happily, seeing as I am not employed by a newspaper and free to share my views, I would like to shine some light on things that have been bothering me. On April 4, the World Health Organisation started reporting on a new form of influenza that had probably come from pigs and infected several hundred people. Subsequently, daily updates tracked how quickly the H1N1 infection was travelling through the world and killing hundreds. The term ‘swine flu’ was retracted after a while because the virus was found to be an odd ‘cocktail’ of viruses, containing six genes from the swine flu virus H1N1, but also some from various strains of influenza virus seen in birds and humans. Researchers now claim the strange mix of virus strains could only have occurred in a research laboratory, and there is even a public litigation suit filed by a Jane Burgermeister who has proof that 72 kilos of this ‘virus’ was actually shipped to various ports by Baxter to start this entire hullabaloo. Getting back to the story, the hysteria whipped up by alarming new numbers on a daily basis has scared several governments into ordering millions of H1N1 vaccines and the FDA into bypassing crucial testing checkpoints to approve new vaccinations in a matter of months. Again, Burgermeister claims to have proof that the vaccine was patented by Baxter in 2007, much before the virus was known. Also, the efficacy of any vaccine against a virus is dubious because the organism keeps mutating. 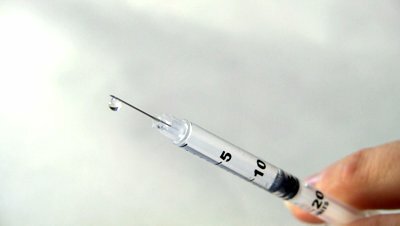 In the UAE, 3.2 million vials have been ordered and mandatory vaccinations are set to be rolled out for schoolchildren when shipments are received some time in October. Fortunately, His Highness Shaikh Mohammed bin Rashid Al Maktoum’s Facebook page gives the average Joe a platform to reach out to powers that be, and a discussion board has been created asking him to give us the choice to refuse vaccinations for our children. There are enough links out there to several independent studies and Youtube videos. Anybody who wants to educate himself/herself can see the overwhelming evidence that the H1N1 scare is a ruse, and that the vaccinations may in fact be more dangerous than the virus. First of all, let’s get some perspective on the actual damage being done by the disease. Since the WHO started reporting on H1N1 deaths on April 4, about 3,500 people had died across the world as on September 18. According to the Canadian Medical Association, seasonal influenza routinely kills an average of 36,000 Americans and 2,500 Canadians each year in North America alone. Australia’s minister of health for Queensland Paul Lucas has also called for a rational media response, saying regular flu kills about 1,000 to 3,000 Australians each year, where 200 have succumbed to H1N1 this year. Yet the WHO Director General Margaret Chan declared it a pandemic level 5 – level 6 being the highest – claiming that ‘large-scale disease’ was imminent. This was on April 29, when 129 people had died from H1N1. On the same day, Prof Paul Ferguson, leading the WHO task force on H1N1, predicted that ultimately 40 per cent of global population would contract the disease. Really? Three billion people would fall sick with a disease that 129 had succumbed to? On what basis were these dramatic predictions made? Whatever their motivations for these dire warnings, I believe we owe it to ourselves to educate ourselves and find ways of protecting our loved ones and countrymen. For one, several studies have directly linked vaccinations to the outbreak of diseases like AIDS, autism and all kinds of cancer. For those who’d like to delve, there are papers to this effect that have been ignored by the medical fraternity for obvious reasons. If that is too heavy a read, Youtube also has several interviews with guilt-ridden vaccine researchers who’ve resigned from their jobs to give media interviews confirming that pharmaceutical companies are aware of vaccinations’ connection with autoimmune diseases, but keep touting these money-spinning ‘essential drugs’ to Third world countries in the name of aid. In some cases — like small pox — doctors admit they recommend vaccinations despite their inherent risks because not taking a vaccine could result in death. However, in the case of H1N1, this is not the case because the largest majority of people who contract it suffer mild symptoms. There are some truths to the nature of H1N1, sure. It is highly contagious, for one. The Communicable Diseases Centre (CDC) in Atlanta estimates that H1N1 must have touched about two million Americans by now. However, of the several hundred thousand who fell sick, only about 2,000 died of the disease. If only one in every thousand people who get the disease will die from it, why not focus on finding what is protecting the balance 999? The fact is the human body has been designed to fight infections, it does so on a routine basis. We have all fretted over our children when they were young and got a cold every second week. But we’ve also seen that as they grow older and their immune system matures, they don’t fall sick as often because their bodies have developed antibodies to the germs in their environment along the way. As long as we eat nourishing fresh foods, get plenty of rest and moderate amounts of exercise, we could — as I have — spend an entire lifetime away from hospitals. This is what I believe governments must support individuals on. Vaccines, I believe, are invasive procedures; they bypass the body’s natural defence mechanisms and introduce bacteria straight into the blood stream: a bit like breaching a fortress and tunnelling under its wall to bomb the castle directly. For any government to take away the right for people to participate in a decision affecting their bodies is wrong, and I hope all countries including the UAE will make the humane choice in this matter. 3. The high rate of adverse vaccine reactions is being ignored and denied by conventional medicine. *Adverse reactions are considered “normal”, are ignored or diagnosed as other diseases. Even with this poor system, reported damage is substantial. 4. Mass Vaccination Programs systematically and recklessly endanger the public while disregarding our rights. *Doctors vaccinate the unwitting and uninformed. The vaccine manufacturers’ package inserts which contain biased industry claims and the bare minimum required by law to reveal are not routinely made available to consumers so that they can make a more informed choice. 5. There is no proof that vaccinations are safe or effective. *There are no control group studies. Authorities consider that “to not vaccinate” is unethical and have refused to study unvaccinated volunteers. If control studies were done according ‘ to honest science, vaccination would be outlawed. *Vaccine manufacturers use “gag orders” as a leverage tool in vaccine damage legal settlements to restrict the plaintiff from disclosing to the public the truth about the dangerous nature of vaccines. Our government has allowed these unethical tactics to be used which jeopardize public welfare. 7. The National Childhood Vaccine Injury Act of 1987 is a pacifier. *This compensation program pretends to acknowledge the existence of vaccine damage by making “right” the wrongs done. Nothing in this Act attempts to avert these adverse events from happening in the future. *This Act is the result of vaccine producers pressuring the government to “immunize” them from private lawsuits which can run an average of $4 million per case. *The fund is made up of tax added into the cost to the consumer of each vaccine, thereby making vaccine consumers pay for one another’s and perhaps their own injury; the vaccine manufacturers have made themselves quite “immune” from accountability. In recent years it has become even more difficult to be compensated through this program due to the parameters for determining vaccine damage changing and coroners now ruling out vaccine damage and charging the parents with Shaken Baby Syndrome. 9. Vaccination is not emergency medicine. *It is claimed that vaccines avert a possible future risk and yet people are pressured to decide on the spot. A doctor’s use of fear and intimidation to force compliance is not ethical. Vaccines are drugs with potential serious adverse reactions. Time and forethought should be given before a decision is made. 10. There is no law enforcing vaccination for babies or anyone else.